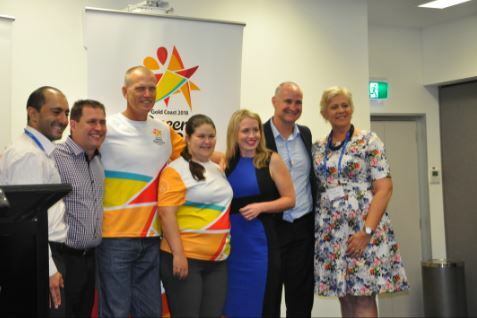 The Gladstone Region will be immersed in the excitement of the 2018 Gold Coast Commonwealth Games when the Queen’s Baton Relay passes through on March 24. Community events to be hosted in Gladstone, Miriam Vale and Agnes Water on the day will mark the arrival of the well-traveled baton to our region. Having started its epic journey at the Buckingham Palace in London on March 13 last year, the baton will arrive in the Gladstone Region a little over a year later, having traveled through all nations and territories of the Commonwealth. Carrying a message from Her Majesty Queen Elizabeth II that calls for the Commonwealth’s athletes to join in peaceful and friendly competition, the baton’s arrival is the catalyst for a day of celebration in the three Gladstone Region centres through which it will pass. 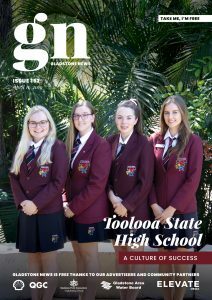 Gladstone Region Mayor Matt Burnett said the events would enable the community to celebrate the baton’s arrival and to cheer our region’s baton bearers as they conducted it through the three centres. “We have a fantastic team of baton bearers, consisting of sporting and community champions from throughout the region, and I expect there will be many residents on hand to cheer them on along the relay route to the main stage at each of the community events,” Cr Burnett said. From 23-year-old youth ambassador for people with a disability Ruby Lawler, to rugby league legend Gary Larson, the Queen’s Baton Relay recognises the achievements and aspirations of all Australians. Other baton bearers representing the Gladstone Region are Maxine Brushe, Ian Anderson, Allan Davis, Neale Inskip, Betty Mergard, Chris Palfrey, Mia Poustie, Jonathan Easton, Tracy Hopkins, Debbie Knust, Laura Koefler, Jenny McLeod, Dianne Morris, Donald Morris, Bob Moschoni, Deanne Lawson, Pamela Cawthray, Pauline Dahl, Larry Halbert, Lyn Harms and Jamie Hartwig. Rolling road closures will be in effect on the baton relay course in Gladstone, Miriam Vale and Agnes Water while the relay is in progress to ensure the safety of baton bearers and their accompanying baton convoy. Roads, aside from those affected by the community events, will only be closed for a short period of time until the convoy has safely passed.